Top Ten Tuesday: Summer in March? Why not? It’s Tuesday, and Top Ten Tuesday (hosted by The Broke and the Bookish) is here once again! There was a bit of twist to this week’s theme, because we had to fill in the blank: Top Ten Books for Readers Who Like INSERT THING HERE. I was going to do a specific genre, book, or TV show, but then I got to thinking about what I really want right now. And that, my dear bookish friends, is warmth. Particularly SUMMER TIME WARMTH. Here in New Hampshire, my heating blanket has certainly been getting a workout. We’ve gotten three or four feet of snow in the past few months, and all I want is a little sunshine. 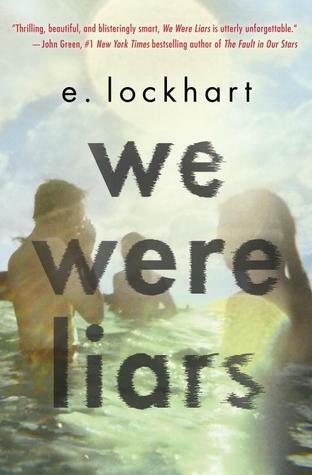 So here are 10 books for readers who like summer! This book always makes me feel warm and fuzzy inside. It doesn’t take place in the summer necessarily, but the main characters are graduating from high school so it all has the feelings of freedom and new beginnings that summer tends to have as well. And it’s set in Florida, so it’s bound to be warmer than here in New England! I know that this book tends to have a polarizing effect for some reason (people seem to either LOVE it or HATE it) but I really enjoyed it. It’s your typical summer setting- a beautiful island in the summer months- but the story itself is anything but ordinary. It’s best to go into this one knowing very little of what it’s about, so it’s perfect to just dive right into. 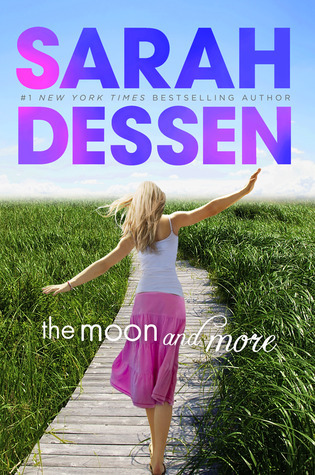 This is one of my favorite Sarah Dessen books, mostly because the main character is so much more independent than some of the girls in her other novels. She doesn’t need a guy by her side in order to be happy, and that’s a character trait I really admire. Of course, it wouldn’t be a Dessen book without some romance, but it’s not as overwhelming as in some of her other ones. If you’re in the mood for a romance with a little something more to it, give this one a try! My oh my, do I love this book! I mentioned it in my last TTT post as well, but I couldn’t resist talking about it again! This is such a heart-warming, empowering, unique summer camp story, and every time I read it (and I’ve read it upwards of five or six times) I love it even more. Another favorite of mine! 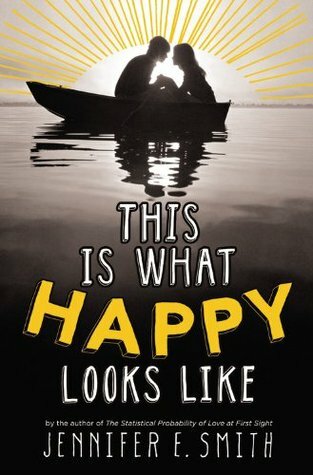 This novel is quirky and incredibly unique, but it’s a great summertime read. There are two plot lines with alternating perspectives that seem completely random- the first time I read it I had absolutely no idea how they were connected at all, but then the ending happens and BOOM they intertwine. It’s fantastic! And isn’t the cover gorgeous?! THIS BOOK, PEOPLE. I seriously cannot explain to you how much I love and adore this book. There’s something about it that makes me keep coming back to it year after year after year. I usually reread it in June or early July each year, and I always look forward to returning to Taylor and Jonah Griggs and all of the Townies and Cadets and everyone. 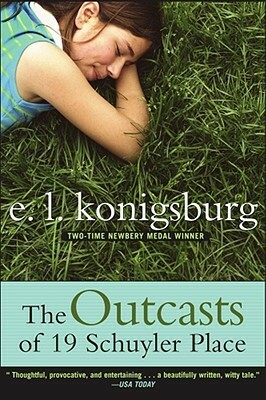 If you’ve never read this book, I HIGHLY recommend it! What happens when the lives of a movie star and a normal girl suddenly- and accidentally!- collide? Find out in this lighthearted and heart-warming story set in a waterside town in Maine. It’s an idyllic summer setting, and the romance is adorable! 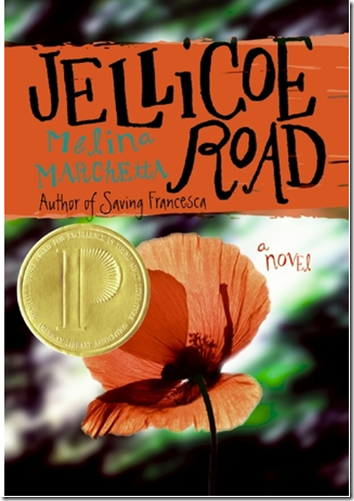 I read this book years ago, but it still sticks in my mind as a great summertime read. It’s one of those stories that leaves you feeling all happy and positive. 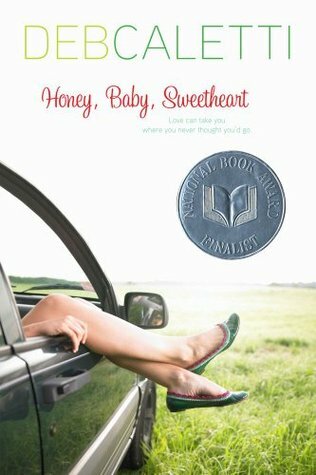 Deb Caletti is an excellent writer of romances, and I don’t know why she’s not more popular! She’s written a bunch of YA novels, so go check them out if you like the YA contemporary/romance genre! Nothing says summer like an epic road trip! 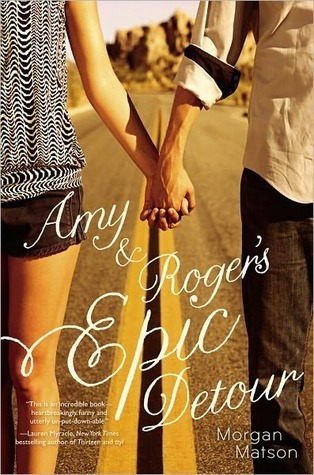 The romance between Amy and Roger is sweet and adorable and just written so well. This isn’t a superficial story, either- there’s a lot of meaning in it, which is really refreshing in this particular genre. So here’s the deal with this one: it seems like everyone else LOVES this trilogy, but when I read it last summer I just thought it was okay. (To read my full thoughts on it, click here!) But since so many people love it and it really is the perfect summer setting and atmosphere, I thought I would include it in this list anyways. Who knows? Maybe you’ll love it! I hope this Top Ten Tuesday list has added a bit of warmth to your reading, especially if it’s cold where you live! What are your favorite summer books? What do you think about the books on my list? Let me know in the comments section below! I need some summer, too, and that’s crazy for us on the Texas Gulf Coast. Our azaleas haven’t even bloomed yet, for goodness sakes. Thanks for the list. I’m going to check some of these out. Here’s my TTT: Good Books for Old Broads (Like Me)! I really enjoyed The Summer I Turned Pretty, it was a lot deeper than I expected. I love summery reads! Apparently I don’t read enough summery books as I haven’t read any of these. My poor TBR just keeps getting longer. 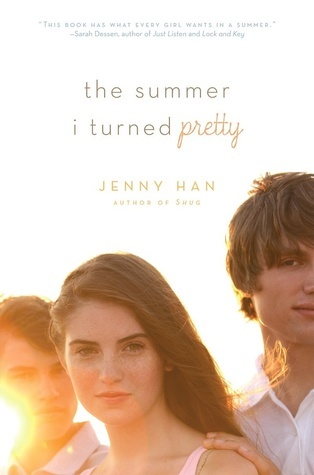 I absolutely agree about The summer I turned pretty series by Jenny Han. The main protagonist was too confused for my taste and I ended up with feeling that she went for the wrong guy. YES! Thank you, oh my goodness it seemed as thought I was the only one who didn’t absolutely fall in love with this trilogy. I definitely thought she should have chosen the other guy, considering he actually liked her all that time. So frustrating! Exactly! And why wouldn’t anyone choose a nice guy who makes you laugh over some dude who is basically a rude grumpy cat? Looks like a great lit, most I have never heard of. Definitely bookmarking this wonder! I LOVE this topic. Summer books are welcome in my reading pile as I watch the snow slowly melt! I know many people thought The Moon and More was only so-so, but I enjoyed it a lot. Sarah Dessen knows her way around romance! 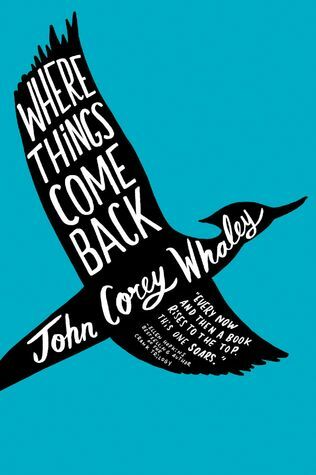 John Corey Whaley’s Where Things Come Back has been on my TBR list ever since I read – and adored – Noggin; you just reminded me to put it on hold at the library 🙂 Terrific list! Thanks! 🙂 Where Things Come Back is SO good! If you liked Noggin then you’ll probably really like it because it has John Corey Whaley’s same quirky style and personality. If only summer would come sooner! I’d really like to read Paper Towns before the movie comes out! You have so many amazing books on this list. 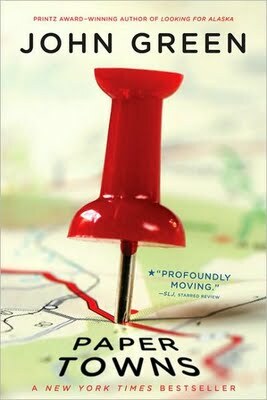 I loved Jellicoe Road and Paper Towns, I think my favorite John Green novel that I’ve read so far. And you can’t help but like Sarah Dessen.